There are a lot of hidden talents at Filmfest Hamburg who make the festival what it is. From the folks who choose the films to the theater managers to the caterers to the press, each person makes his or her important contribution. Here’s a peek “behind the curtain” at some of the people behind the scenes this year. 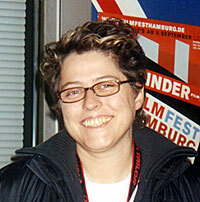 Kathrin Kohlstedde is a programmer who, along with Albert Wiederspiel, is responsible for the film selection at this Filmfest Hamburg. 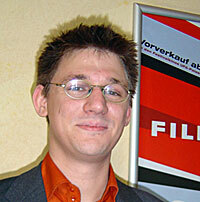 “Albert (Wiederspiel, festival director) and I travel all year to festivals and chose films for our own Fest. The only festival we both attend at the same time is Cannes. People send us their films for consideration, too. We look for quality; also, the film must never have been shown in Germany before. An interesting festival is the Transylvania film festival in Cluj, Romania.” This is Kathrin’s seventh Hamburg festival. She studied political science and philosophy at the Catholic University in Eichstedt and was a “normal” cinema lover until her university organized a film festival, and thereafter, she was hooked. After three years in TV in Munich (Thomas Gothschalk’s show), she moved to Hamburg, where after a year she got her present job of programmer. One of her favorite films of this festival was La moustache. During the festival her job is not over, as she must network with the many visitors who accompany their films. “For example, before this interview I attended an official state lunch, and after this interview, I have to show a film critic an ethnic store in Lange Reihe.” The day after Hamburg’s festival ended she was on the road to Holland to check out the festival in Utrecht. 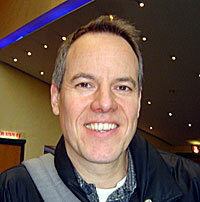 Philip is the assistant theater manager for CinemaxX Cinema in downtown Hamburg. He worked closely with the Filmfest organizers to provide, for example, the red-carpet premiere, the festival office, and venues for films for accredited attendees, daily from 10:00-19:00. Philip originally sold tickets and popcorn at the Harburg CinemaxX while a student in Harburg. He interrupted his studies (temporarily) for a full-time job at the downtown CinemaxX in May 2003. He selects films for CinemaxX, although the main office has set guidelines for this multiplex theater. Employees are divided into three shifts, working seven days a week, so Philip spends a lot of time at work and thinks nothing of helping with small jobs when necessary. “I would wish for more red carpet events in conjunction with the Filmfest in the future,” he said. And where was he on his first free day after the Fest, early on a Friday morning? At the press showing of Tim Burton’s Corpse Bride at Streits! 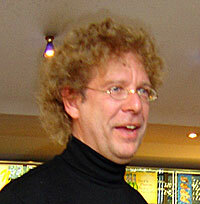 Wolfgang Wölffel organized free lunches served during the S(ch)nackpunkt noon discussions. In real life he runs a catering company which shows up on location at film shootings to serve yummy food to the exhausted cast. He is also available for special events, and besides the S(ch)nackpunkt, he organized food for the Filmförderung’s Come Together Party. He brought in Borchers Restaurant for food and Carat Hotel for drinks including wine. Call him next time your own home movie blockbuster threatens to sap your strength: tel 31 65 03, www.event-logistik-service.de.